Finding enough time to exercise amongst the chaos of family life can be tricky, but just because you can’t make it to the gym doesn’t mean you have to miss a work-out. Try adding some incidental fitness into family time. Exercising as a family can be fun, cost effective and easier than you might think. It will help you add more movement into your week, up those steps on the Fitbit and get the kids moving too: win-win! In fact, the University of Cambridge found that kids were 10% more likely to work out if their parents were active. With more than 1 in 5 Kiwi kids now classed as overweight or obese, any chance to pick up a jump rope rather than a remote is a positive swap. Shows like Ninja Warrior burst onto our screens inspiring kids (and the big kids too) with the fun mix of athleticism, strength and grit. Rather than yelling at the TV, why not encourage the family to try a Ninja Warrior challenge in your backyard or at the local park? Ask each of your little Ninja’s to come up with an exercise or obstacle (a see-saw makes a great balancing beam!) and create a circuit that everyone can have a go at. If you’re a competitive bunch, grab a stopwatch and cheer on personal best times. Make the most of balmy summer evenings and take a walk around the block after your dinner, rather than flopping on the couch to watch TV. Your waistline will be thankful for the extra steps and it’s a great time to relax and chat as a family. The kids will love exploring their world at dusk and you can even encourage them to spot nocturnal animals. Being mini Dr Dolittles can add to the fun and make it a game. As competitive creatures, nothing will encourage exercise more than a challenge. A step counter and simple track chart will get everyone moving and the little ones will love it if daily milestones come with a special reward. They’ll also get a kick out of seeing their name alongside mum and dad’s. Love them or loathe them, screens are a part of our daily lives, so why not use them to get the kids up and moving. YouTube is a hot spot for healthy tutorials (from yoga guides to dance routines), gaming consoles now feature body motion tracking technology and wearable tech can connect right to your smartphone. If your kids are moaning to stay on their screens, make them work-out for it. It may be hard to resist joining in too. Sounds simple, but starting the day with a stroll will put the whole family in a happy mood. If you’re lucky enough to live within walking distance of your child’s school it’s an easy habit to master, but if you’re a little further out, consider parking a block away and taking an extra 10 minutes to walk away the morning stress. Extra points for hopping or skipping! 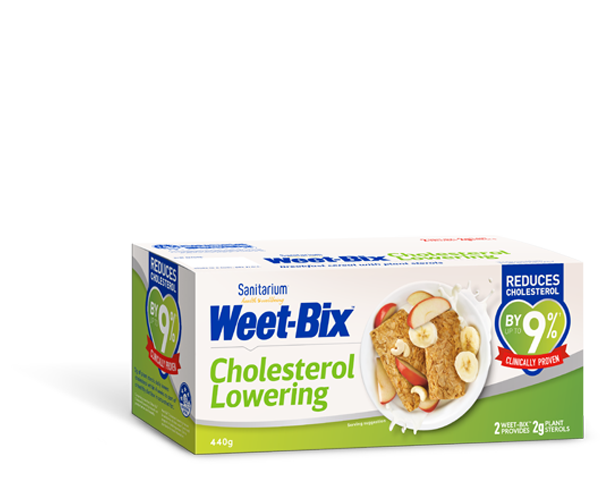 The Sanitarium Weet-Bix Kids TRYathlon is a non-competitive event that encourages kids to have a go, get fit and active all while having fun with their friends. There are plenty of events around the country that you can register your kids for and you can help them ‘train’ for each circuit – swimming, running and cycling together.